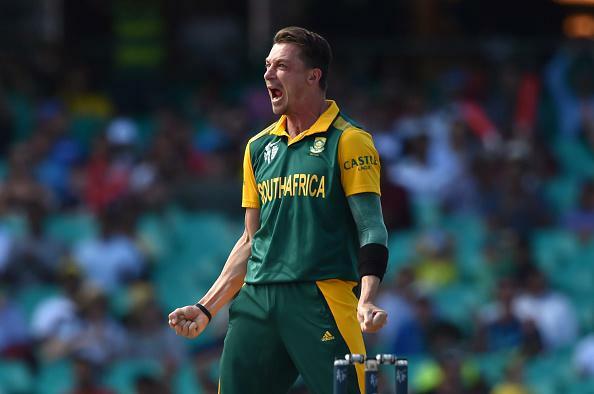 The knockout stage of the World Cup witnesses a subtle beginning as South Africa register a smooth win over Sri Lanka. It was a cakewalk for the Proteas & unlike the expectations of a strong thrilling match, this encounter turned out to be absolutely one sided & finished within 20 overs in the 2nd innings. The rain did make a brief appearance but didn't cause a major obstacle. Winning the toss & opting to bat first the Lankans aimed at putting a big target on the scoreboard but opposite to that happened & their team fell like a pack of cards. Sri Lanka were 69/3 in 19 overs & were bowled out on 133 in the next 18 overs. Highest number of runs came from Sangakkara's (45 off 96 balls). Their big guns failed to fire in this crucial clash which lead to them being unable to produce a defendable score. South African bowlers need to be highly credited. Imran Tahir picked up 4 wickets giving away 26 runs & Duminy got 3 wickets conceding 29 runs. Scoring 134 which is even lesser than a good T20 target was left hand's play for the Proteas. Losing just one wicket of Amla, the 2nd wicket partnership between de Kock & Plessis took their team to a smashing 9 wicket victory with Kock remaining unbeaten on 78. With this Sri Lanka's dream of lifting the World Cup comes to an end & so do the dreams of the team's legends, Sangakkara & Jayawardene who played their last World Cup. The former scored 4 back to back Hundreds, most in this CWC15. It has been a pleasure for the cricket fans to witness the display of talent & class of these two & Both of them will be missed. As for South Africa they move an inch closer to their dream of lifting the World Cup. They will be playing the Winner of New Zealand vs. West Indies on 24th March in the Semi Finals. 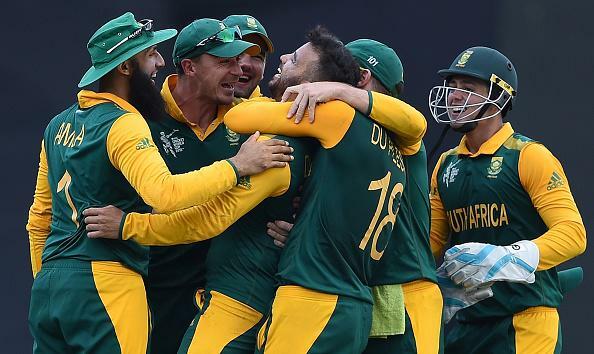 South Africa crush Sri Lanka in the first 2015 Cricket World Cup Quarter-Final.